"The essence of the jug-band idea is people jamming music for free and for fun with an extremely unrehearsed, spontaneous nature to it." "No two jug bands could sound alike simply because the music is at once so personal and so collective." To maintain an association Web site to publicize its mission and supported events and activities. 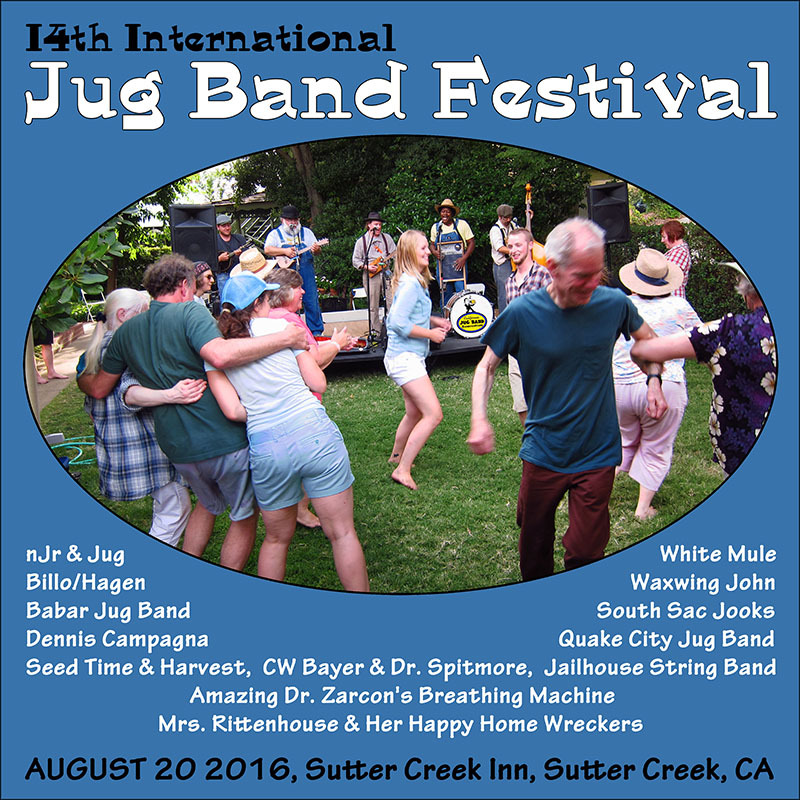 The California Jug Band Association, Inc. is a 501(c)(3) non-profit educational corporation. All content, except where noted, is (c) The California Jug Band Association, Inc. "CJBA", and the "jug-blower logo" are trademarks or registered trademarks of the California Jug Band Association, Inc.